Parabéns para você! « Phloggings will continue until morale improves…. 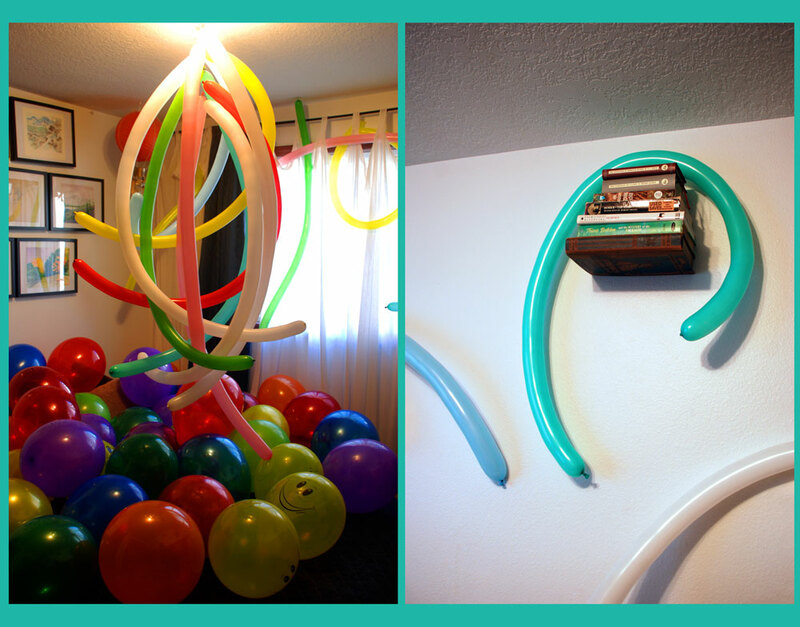 I had grand visions of filling Raíza’s room floor to ceiling, but that took way more arm muscles than I had. I spent the morning wearing out my arms & watching the movie “Stardust.” The long skinny balloons hanging from the light fixture turned out to be my favorite. 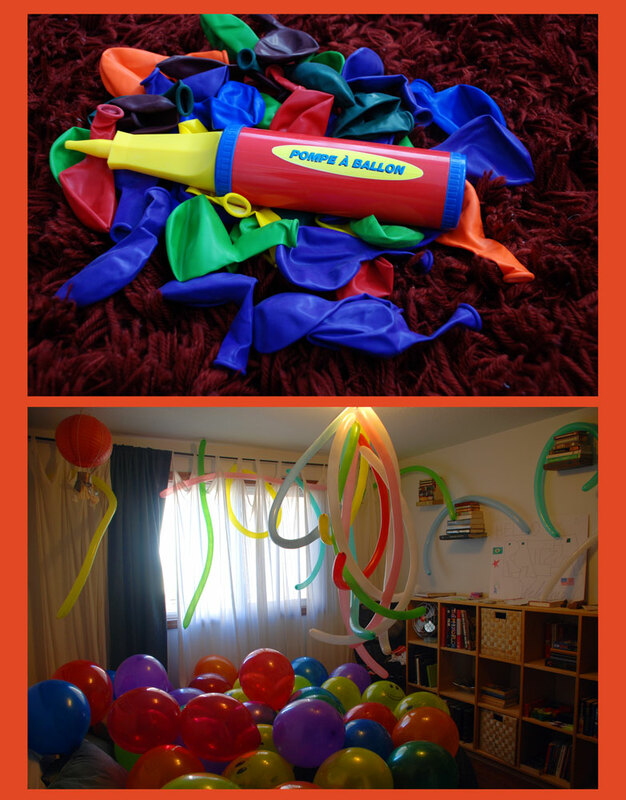 Who knew balloons could be so much entertaining? I could not resist curling some over the book-shelves on the wall. The happy face balloons are also irresistible. Sadly both Aaron & I were at work when Raíza got home from school, but I’m sure a delighted squeal happened shortly after she opened her bedroom door. 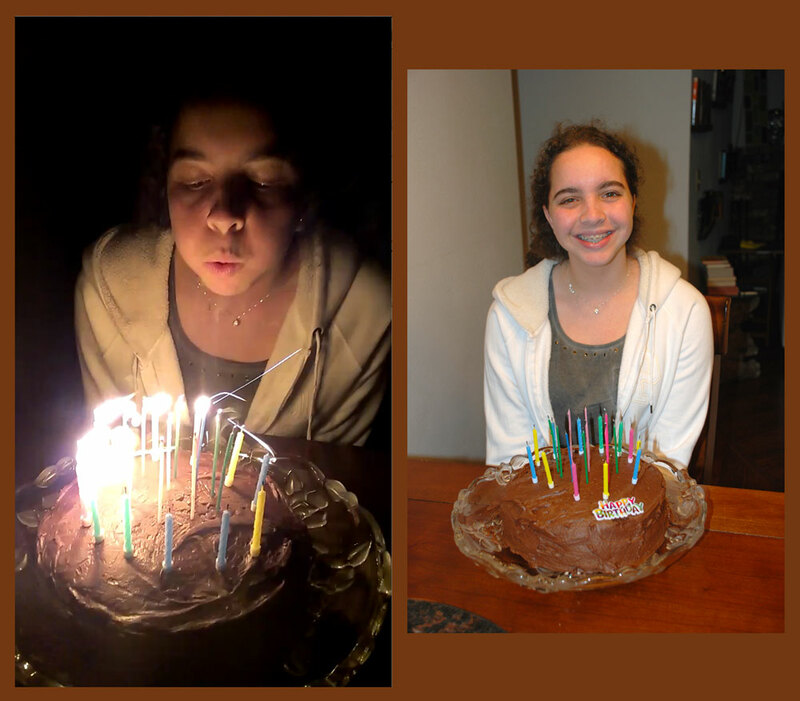 Later we topped Raíza’s chocolate cake with chocolate icing & 17+ candles. (Who’s counting anyway?) Then Aaron & I awkwardly sang the Happy Birthday song to her in English. 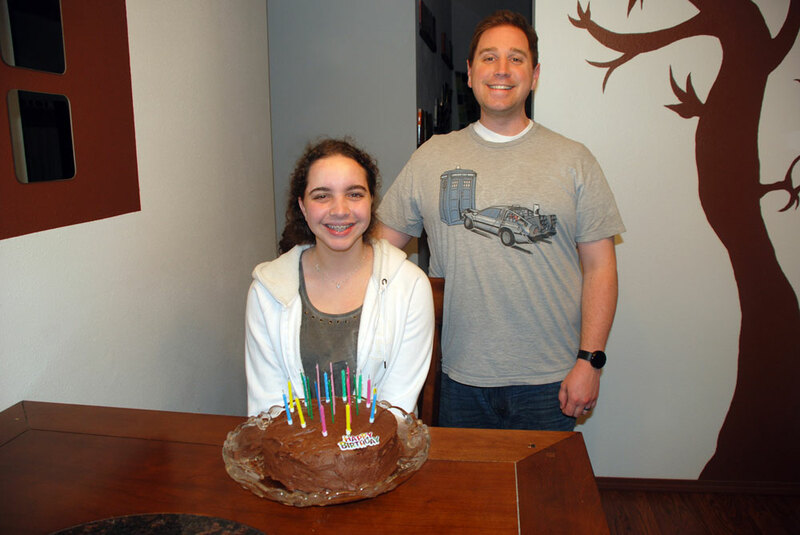 We’re much more practiced in Portuguese, but we wanted to give her the full American Birthday Experience. The A.B.E. (full package) comes with chocolate cake, your room filled with balloons & the Happy Birthday song in English. We bought sparking candles & I’ve decided those are my favorite. Who needs regular candles? What a wonderfull surprise must’ve been to Raiza. As Leda said, we are very happy and peacefull knowing Raiza is with you. 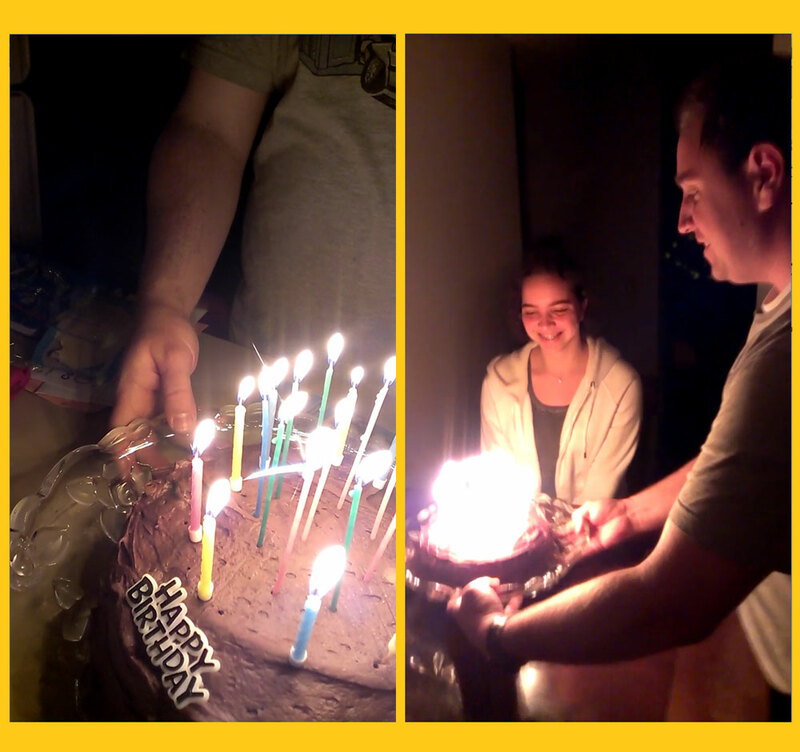 Thank you for this birthday surprise that I’m sure Raiza will never forget!! You Hykel and you Aaron are just GREAT!!! Thanks for all! We love you! How fun! A Birthday to treasure! Seriously! You two are THE BEST!!! Paulina and I are sitting here feeling VERY sheepish about missing her birthday. Lame! We’ll have to make it up to her. Maybe we’ll celebrate her half birthday in April by taking her out to dinner or something. 🙂 We sure love Raiza and we’re so glad she could come to the U.S. and, more importantly, to your home!